Most people have a weird fascination with shark attacks and love hearing about them. But, they are relatively rare. Statistically, you are far more likely to get struck by lightning than you are to become a victim of a shark attack. Of course, these attacks can be avoided completely if you stay out of the water because these big fish have never come on land to attack people. All shark attacks are horrible, so how do you decide which ones are worse than others? I have decided to concentrate on incidents where large volumes of people have lost their lives, mainly through being shipwrecked. Can you think of anything worse that treading water, miles from land, while sharks are circling around you. It must be horrifying to watch your friends, family, or comrades being ripped to pieces one by one, knowing that your turn is coming, and that there is absolutely nothing you can do. Here are the worst ever recorded shark attacks in the world. On average, 400 people per year get struck by lightning, according to the NOAA website, and 58 of those are fatal. Only 60 people on average are attacked by sharks each year, and the death rate is about 10. 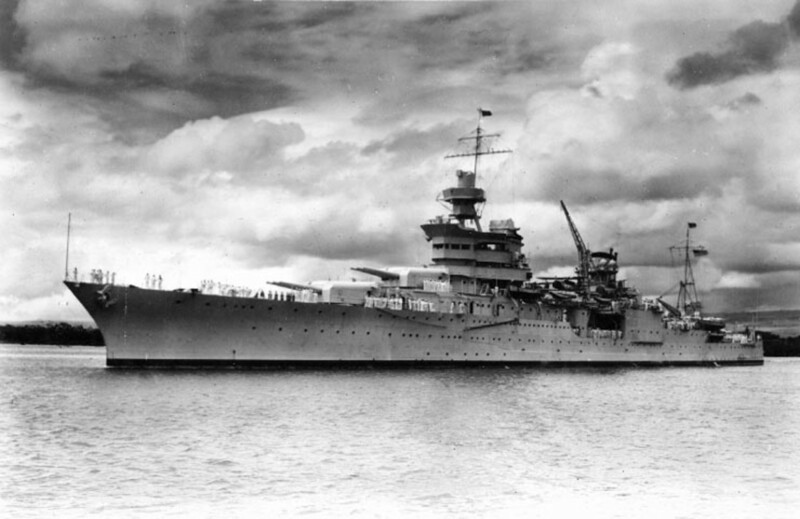 On July 30, 1945, the US cruiser Indianapolis was directed to sail from Guam to Leyte Gulf in the Philippines to join the battleship USS Idaho in preparation for the invasion of Japan. She had just delivered the world's first atomic bomb to the Island of Tinian 4 days earlier. Midway between Guam and Leyte, she was torpedoed by an I-48 Japanese submarine and sank within minutes. There were 1,196 military personnel on board, and 900 made it into the water wearing life-jackets. 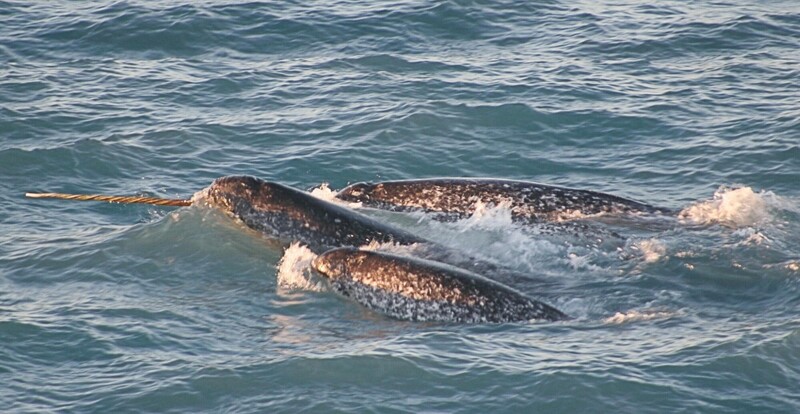 As dawn broke the next day, shoals of sharks appeared and started attacking the sailors. It was almost 5 days later before they were spotted and rescued, and even as rescuers were pulling the men onboard, sharks were attacking them. 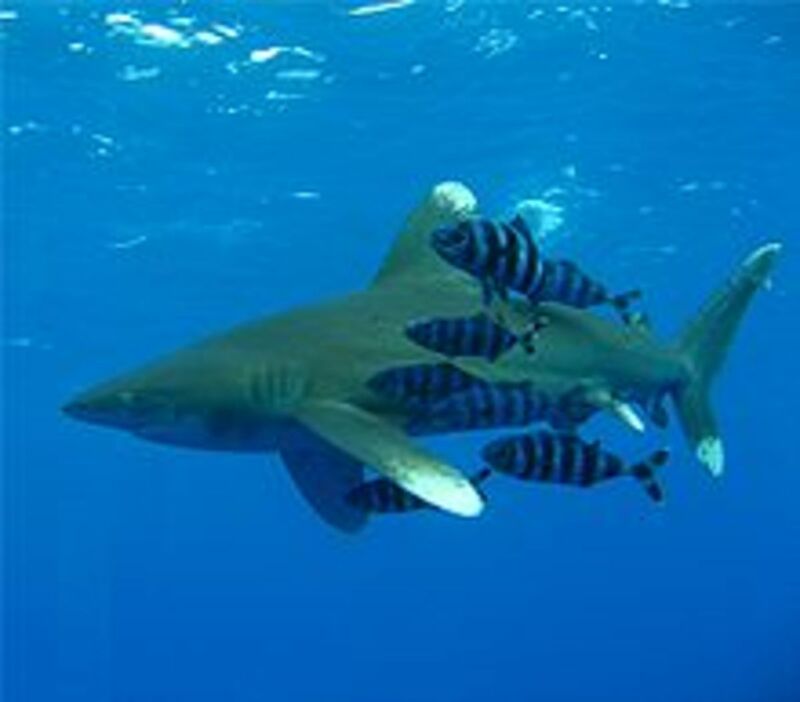 All together, nearly 600 men lost their lives to what is believed to be oceanic whitetip sharks. Only 317 of the crew survived. 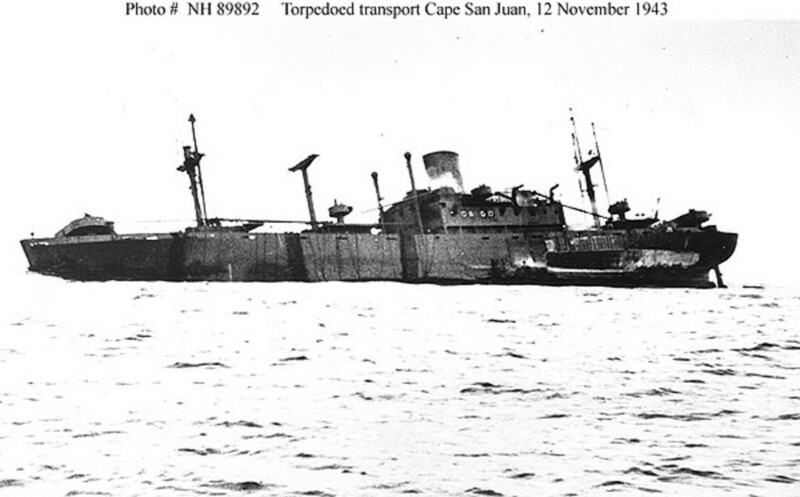 On the 12th of November, 1943, the Cape San Juan, a 6711-ton US freighter and troop transport ship, was torpedoed by the Japanese submarine, I-21 in the Pacific Ocean near the Fiji Islands. The ship was sailing from San Francisco to Townsville, Australia, ladened with 49 crew, 41 gunners, and 1,348 US army troops on board, making a total of 1438 people. 130 of them were killed either when the torpedo struck or immediately afterwards when they jumped overboard into the water and drowned. 483 survivors were plucked from the seas by rescue ships and planes. It was reported that sharks were attacking the survivors even as the rescuers were trying to pull them out of the water. 695 people died trying to fight off sharks (most likely oceanic whitetips). In total, 825 people lost their lives. On November 28th, 1942, the British troopship Nova Scotia was torpedoed by a U boat 50km off Cape St. Lucia, South Africa. 750 troops perished — about a quarter of them taken by oceanic whitetip sharks. Only 192 survived. The Nova Scotia had been ferrying back and forth from Durban up the east coast of Africa to the Suez Canal. She was torpedoed by a German U boat 177 while carrying 134 British and South African guards, 650 Italian POWs, and 118 crew on board. The ship sank just 7 minutes after the Germans fired 3 torpedoes, throwing the survivors into the shark-infested waters where they had to desperately cling onto any flotsam they could. The German U-boat surfaced to try to discover what ship they had hit (it was dark) and were greeted with mayhem; hundreds of men were floundering in the water and screaming for help. Having received no orders to help, the Germans instead took two men from the water for intelligence reports, then dived away, leaving the rest to drown or be eaten by sharks. The next day, another ship, the Alfonso de Albuquerque, came to their rescue, but many were already dead. They safely plucked 190 from the water. Later, two survivors turned up on the shore, having floated on a raft without food or water for two weeks. 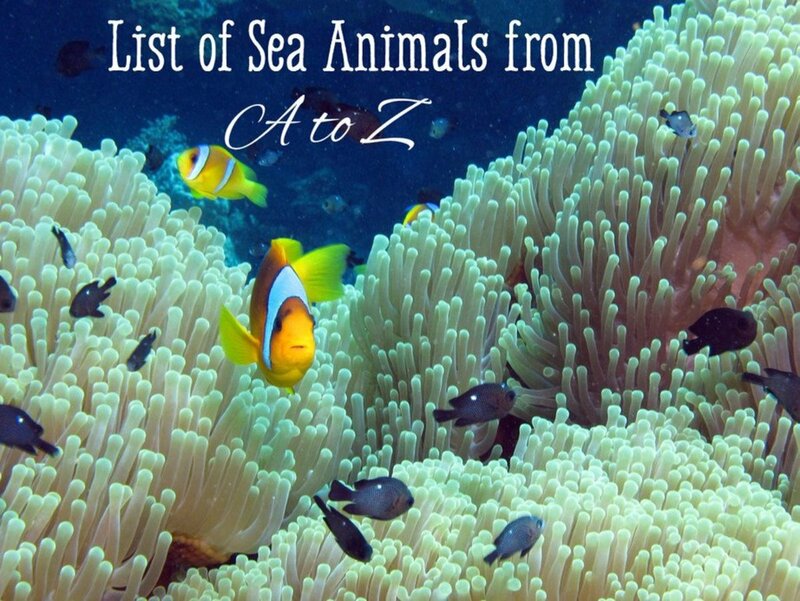 I was unsure where to place the Doña Paz disaster in the list of the 10 worst sharks attacks in the world because despite the huge death toll, the vast majority of victims burned to death. However, over 300 bodies were later recovered from the seas covered in shark bites, so there was a huge shark involvement too. On December 20th, 1987, the MV Doña Paz collided with oil tanker MT Vector while en route from Leyte Island to Manila in the Philippines. Both ships burst into flames after the Vector's cargo ignited. Within 4 hours, both ships had sunk. It was an incredible 8 hours before the authorities learned of the accident, and another 8 before aid was sent to the stricken area. Subsequent investigations revealed that the life-jackets were in a locked cupboard. Neither ships had radio or flares to send out distress signals. Furthermore, the MV Doña Paz was enormously overloaded. Originally designed to carry just 608 passengers, she was "stuffed to the gunnels" with at least 3000-4000 passengers, well over the official ship's manifest of 1,500. Couple that with the oil tanker having an expired license and untrained crew, the meeting of those two ships was a maritime disaster waiting to happen. It was discovered that an apprentice crew member was in charge of the bridge when the accident occurred and the trained officers were either drunk or watching TV. After the explosion, those not caught in the blast had to flee for their lives by jumping overboard into the shark-infested waters of the Tablas Strait. Many burned in the waters, which by this time was also alight. There were only 26 survivors: 24 passengers from the ferry and 2 members of crew from the oil tanker. 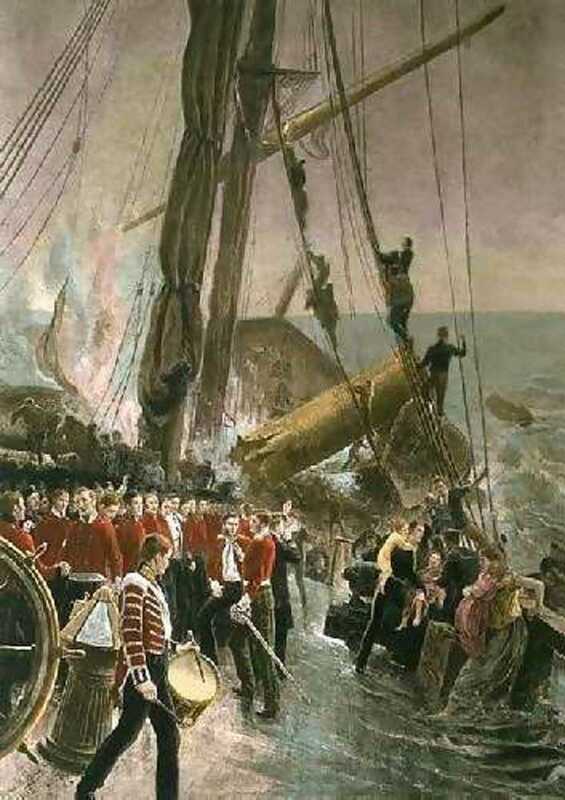 On the 26th of February, 1852, HMS Birkenhead sank after striking an uncharted submerged rock off Danger Point, South Africa. On board were 643 people, mainly British and Irish soldiers and some of their wives and children. On their long journey from Portsmouth, England they had stopped at Simonstown, near Cape Town, to pick up fresh supplies. Most of the women and children left the ship, as did several sick soldiers. They picked up 9 cavalry horses at Simonstown, and on February 25, left on the final leg of their journey to Port Elizabeth, South Africa, with around 630 people on board. In the early hours of the morning, tragedy struck when the ship hit a rock. Water flooded into the forward compartment of the lower troop deck, drowning at least 100 soldiers in their hammocks as they slept. The Captain, Robert Salmond, ordered evacuation of the ship, but only 5 of the ship's 7 lifeboats could be floated. The two larger boats each capable of carrying 150 men were swamped and unusable. 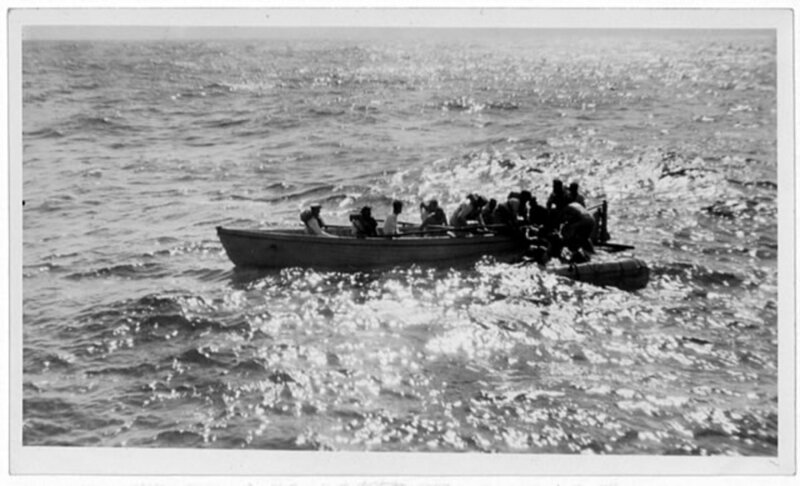 Without being asked, the soldiers all stood in line, allowing the women and children to enter the working lifeboats. The expression "women and children first" originated from this selfless act. The bravery of these soldiers set a new maritime disaster protocol, even though the term was not until 8 years later in 1860. 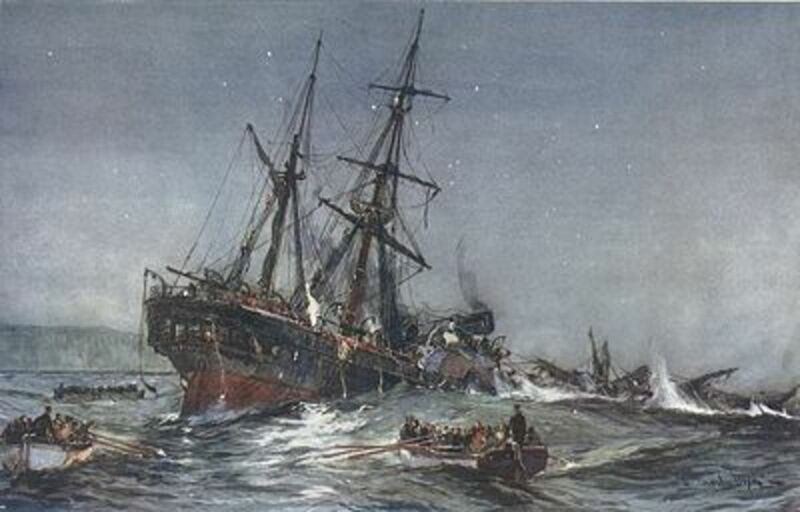 As the ship sank, the soldiers (and horses) were thrown into the sea, 3 miles from land and in the middle of the night. 8 horses and 193 people survived this disaster. The rest were taken by sharks as they tried to swim to shore. 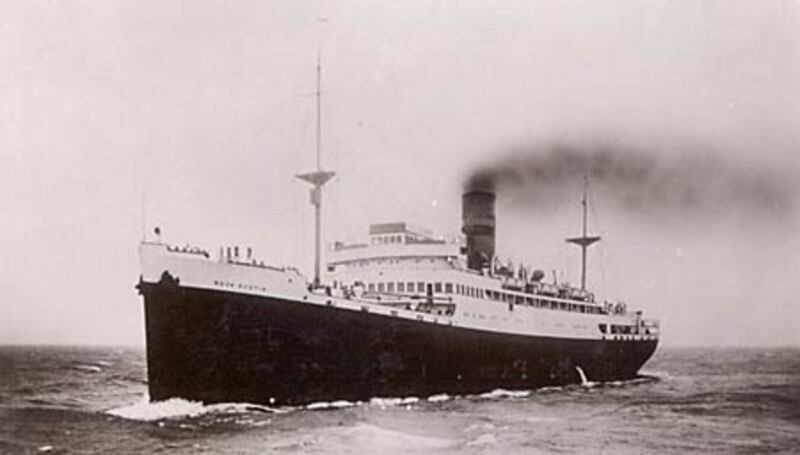 On October 25th, 1927, the luxury Italian cruise liner Principessa Maldafa sank 90 miles off the coast of Albrohos Island while heading to Porto Seguro, Brazil. 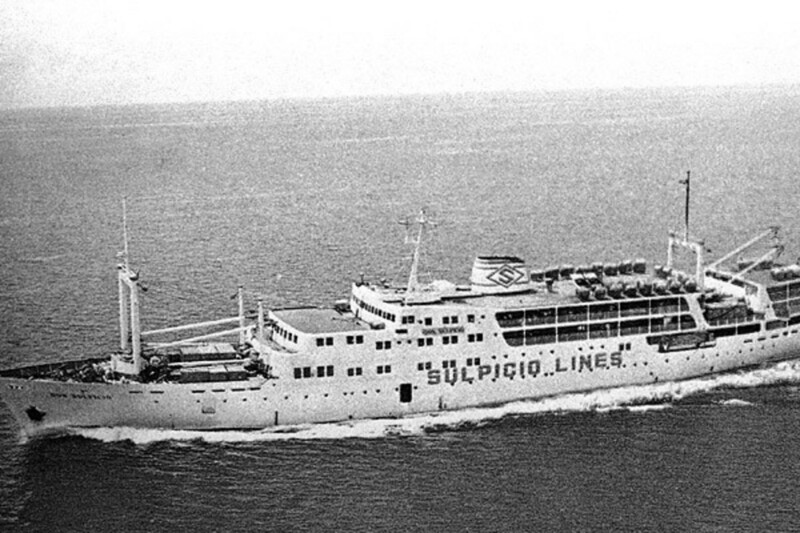 Many of its 971 passengers were Italian emigrants on their way to start a new life in Brazil and Argentina. 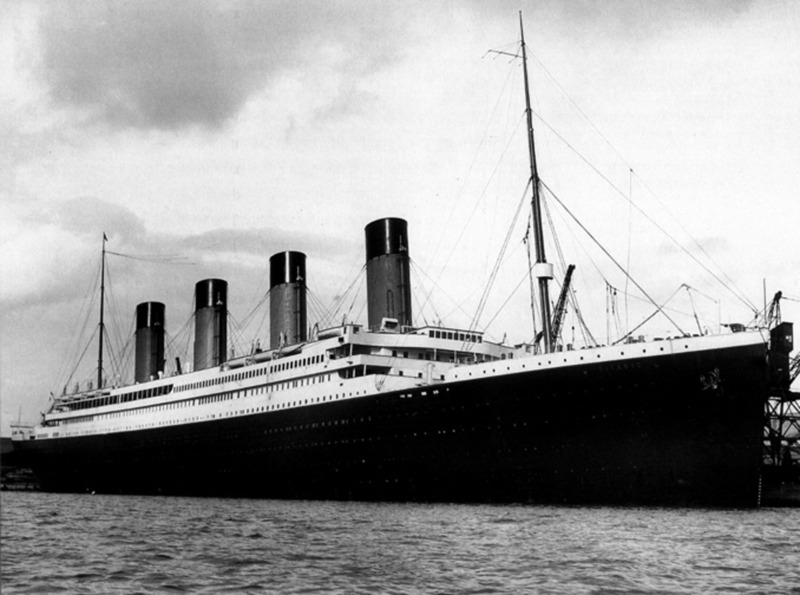 The tragedy was caused when a propeller shaft broke, allowing a huge amount of sea water into the engine room. The sudden inrush of cold water caused boilers to explode. Despite being fatally crippled, the Principessa Maldafa stayed afloat for another 4 hours allowing other ships in the area to come to her aid. Many passengers and crew were safely plucked from both the waters and the lifeboats. But, those who feared another explosion abandoned ship. Many lost their lives to sharks that quickly appeared in the seas around the stricken ship. When the ship finally went down, only the captain remained on board. Out of a total 1256 people, 295 people died. In 1942 in Indonesia, 200 captured allied soldiers were squeezed into 3-foot-long bamboo pig baskets in Surabaya, East Java. The baskets were then loaded onto trucks and driven to the railway station where they were loaded onto open goods wagons. From there, the soldiers were transported to the coast. Half-dead from thirst and heatstroke, they were loaded onto boats that sailed out to shark-infested waters where they were thrown overboard to be eaten alive. The commander in chief of the Japanese forces in Java was later court-martialed and sentenced to 10 years in jail by an Australian military court for his part in what became known as the "Pig Basket Atrocities." 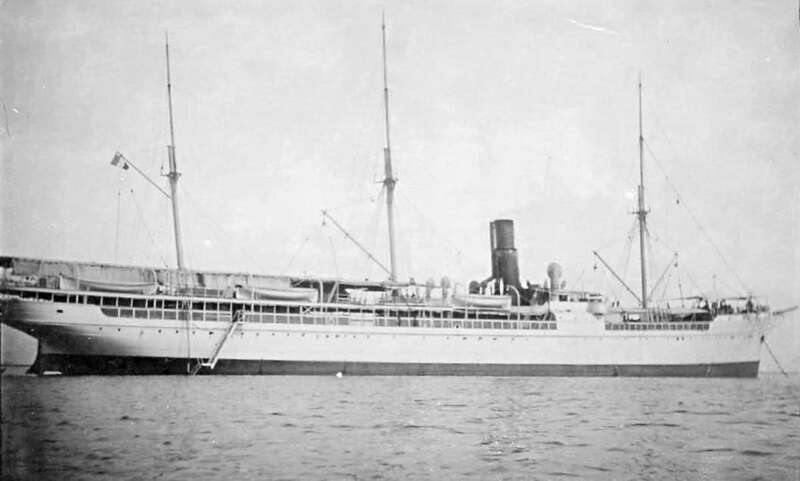 On November 14, 1909, the French steamer La Seyne collided with British India Steamship Co. liner Onda in Rhio Strait, Rhio Archipelago, near Singapore, 26 miles from land. Thick fog had prevented either ship from seeing each other. The smaller French vessel sank within 2 minutes of the collision. The crew of the Onda rescued just 61 passengers and crew from the stricken 1,142-ton steamer. Many of the survivors were badly mauled by the huge shoal of sharks that circled them in the water. A total of 101 people died by shark attack, including the French skipper, Joseph Coulailhac. 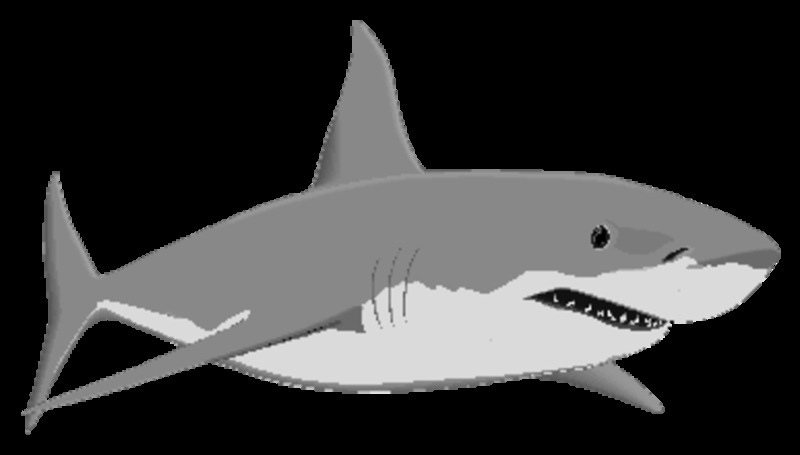 In July 1945, in Northern Java, off Cheribon, 90 European civilians, mostly women and children, were taken at dusk out to sea on the deck of a Japanese submarine.When it was well off-shore and in deep waters (just at the time of day when sharks like feeding best), the submarine suddenly dived, leaving her passengers to drown and/or be eaten by sharks in the water. There was one sole survivor who told his tale to fishermen who rescued him, but he died shortly afterwards from his injuries. The sharks had taken off his arm and a foot. The fishermen duly reported this atrocity as a war crime after the war was over, but neither the submarine nor the commanders responsible were ever investigated. They went unpunished because the Japanese destroyed all documents. In 1926, British Naval ship HMS Valerian capsized in a hurricane in Stag's Channel, 5 miles off Dockyard, Bermuda. As the sailors hung on the life rafts for dear life, sharks pulled some of them off and into the water, where they were bitten and chewed in a shark feeding frenzy. 88 crew members died in the heavy seas, most of them from shark attacks. Rescue boats managed to pull just 20 survivors from the waters. The Birkenhead victims were all taken by sharks (Great Whites)... Most of the others died of exposure. Why are Australians afraid to mention the obvious fact that many, if not most of the crew of HMAS Sydney died in the jaws of sharks? 'Protect sharks because this is their world'!? What about the rat, the blowfly, the Ebola virus, the mosquito etc??? "Stuffed to the gunnels." There is NO SUCH WORD as gunnels. The word is actually GUNWALES and is pronounced 'gunnels'. how do you account for 7 people being attacked off the east coast of Australia in a fairly small stretch of water over 9 months this past year if "a shark attack is less likely than being struck by lightning? 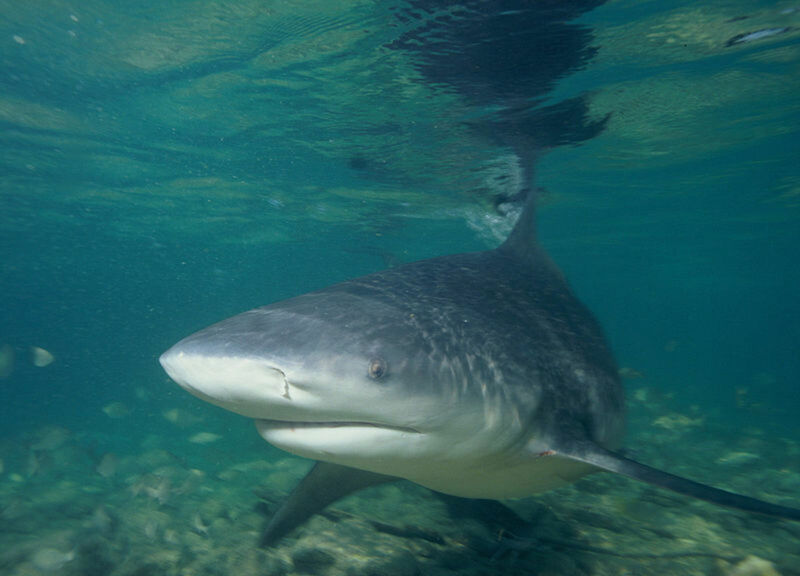 The standard answer to shark attacks in Australia is that they are rare but we have now got to the point where tourism is failing because people no longer go in the water because the attacks have been so large in number. 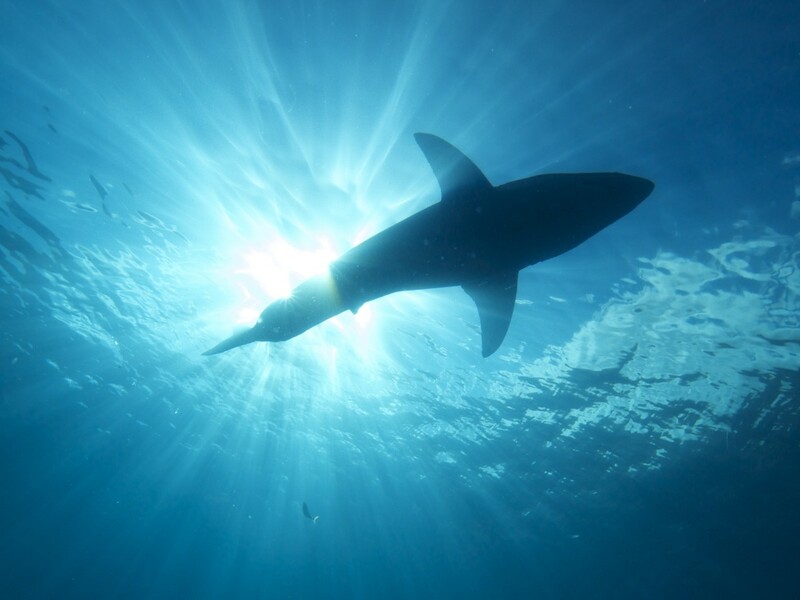 Sharks eat stuff in the ocean, there is no such thing as mistaken identity or test bites, Human prey is obviously not a regular food item in every case. The coloration, smell, sound, shape, and movement are not consistent even with injured fish, the vibrations given off are disitinct and lack of other injury signals it is obvious that the instict to feed negates differentiation . Sharks inflict disabling attacks only when the the predator to prey size ratio is apparent. Large sharks will generally take smaller prey items outright. The assumption about prey selection and shark behaviours in general are amusing to me. So I thought I would clarify it for these experts. If you dont think this is true, go test it. Any random color, smell,size, motion or shape will do. Fish/Human/Dolphin/Seal/Turtle/Bird/Shark/Dog/Pig/Cooler/Bouy. If they can eat it, then its food. Women and children first, amazing discipline. Well I'm glad there are no sharks around these waters here in Japan. But you never know. Wow. I can't believe the number of fatalities of these disasters. It makes you want to just go down with the ship. I shouldn't have read this right before I head for the beach, but this was really interesting. I saw your headline and bit....hehehe. Great post! Reading this makes me depresed. But for dome odd reason I love this topic. Great information! That's not the "Doña Paz" on the picture above, it is the M/V "Al Salam Boccaccio 98". See: http://www.wrecksite.eu/wreck.aspx?17507 I know the Ferry well as I traveled on it as it was called "Boccaccio" and operated between Genoa and Sardinia for the company "Tirrenia" in the Seventies and Eighties. Doña Paz is this one here: http://en.wikipedia.org/wiki/MV_Do%C3%B1a_Paz It looks quite a bit different as the "Boccaccio"! Yes the oceanic whitetip is probably responsible for more deaths than the rest put together! They don't make the same headlines because they are deep ocean sharks and so are unlikely to be near the coast to attack bathers or surfers. Interesting analysis. It seems that oceanic white tips were the culprit in a lot of these cases. Forget "Jaws" and the great white sharks. These comparatively "little" guys seem to be the real threat. I enjoyed reading your hub. Nice work. Shark is one thing that I fear off... I had seen some real stories about shark attack and it was really scary. So many have died from plane crashes in the Pacific, especially during the Second World War. I would have thought the crash itself would have killed most of them, but didn't that book Unbroken by Laura Hillenbrand describe the true story of a man shot down from a plane, then having to fight off sharks? That must have been awful (though the story got worse for the man). He ended up in a Japanese prisoner of war camp. Is that an invitation? lol Might take you up on it one day! Terrifying but interesting stories. Now this is the worst nightmare for anyone who is terrified of the ocean or related to the ocean -- the abysmal depth, boats and sharks! Voted up and interesting. Even though I am a competent swimmer, I will not swim in seawater where I am out of my depth. I have a deep fear of things lurking beneath the surface just waiting to get me! There are no man-eating sharks in the waters where I swim, but you never know, one could be lost! I would love to go on a cruise, but then again....maybe not! I have always had a fear of the ocean for some reason. I have never liked the idea of swimming in water where things bigger than I was that could eat me. Great job here though! It was interesting reading. Cheers Marcy. :) There has actually been some dreadful disasters in modern history that took place at sea and involved sharks, especially during World War II. The ones above I picked because they had the greatest loss of lives, but there were some really horrendous incidents involving much smaller numbers of people. I might hub about them sometime. Well, I'm not sure I'll get on a cruise boat after reading this! I've heard of a few of these (notably, the Indianapolis tragedy), but there are several I'd not heard of before now. Excellent and well-researched piece. Voted way up! Like the waters round the Philippines? Anywhere we go in the world that has warm sea waters, we have sharks, even if we can't see them. There is a lot to be said for swimming pools! This would definitely be on the top 10 of my list of worst nightmares! Swimming in shark infested waters! Yes it is just a pity there never seems to be a shark expert or even experienced fisherman aboard these shipwrecks, to survive and tell us the types of sharks that eat survivors. Oceanic whitetips seem most likely. 6 years ago from Piece of land! The oceanic white tip is the main culprit of shark attacks on shipwreck victims. I think thse sharks have killed more people than all the rest of the man-eating sharks combined. Nice informative and interesting hub. Thank you. Yes it is that unpredictability that makes us nervous around them, even though the vast majority wouldn't dream of taking a bite at us. Some people seem to thrive on danger, hence the plethora of close-up underwater photos of sharks. Not me, though! Very very good article.Thanks.I need this type of article about crocodile attack. If you live in an area where shark frequent, then I don't blame you one little bit. Stay safe! But it's a shame too, because bathing in the sea is one of life's free pleasures. I am so interested in sharks, but, I won't go into the water....Maybe up to my ankles. I read to much over the yrs. Wise woman! I felt quite ill when researching this hub. Those poor people! Scary stories, although very real. This just confirmed why I don't tread into open water at the beach. Thanks! Hope there are no sharks in the waters wherever you are in the world. Stay safe! Nice hub! Amazing history lesson. Thanks for adding the maps, they helped add meaning to the voyage and subsequent tragedies. Wow! A bullseye for writing a hub someone would never want to read! Yet you did, so thanks! Sorry to hear about your fear of ships. It's a bit of an odd phobia but I see there are pages and pages dedicated to it on the net, so you are not alone. Very interesting hub; scary for me for two reasons - the sharks, and the fact that I am inexplicably terrified of big ships, and even the photos here made me jump! Thanks JKenny. Even imagining the scene is nightmare-ish, yet the ones I listed above are only a fraction of the people this has happened to. Many more ships have gone down at sea where there were no survivors to tell the tale, and without bodies there is no way to record their deaths as shark attacks. What a fascinating hub, whenever you think of a shark attack, you normally imagine Jaws. Somebody alone in the water that is snatched by a shark. Its difficult to picture the scene of sinking ship surrounded by shoals of sharks. It's a good job that shark attacks are comparatively rare. Voted up etc. I absolutely would not go into an ocean where I knew dangerous sharks lived unless I knew there were shark-nets in place, but that's just me! Yet I will happily sit outdoors and watch a thunderstorm, even though that activity is far more dangerous! Maritime disasters could affect any of us though. Who wouldn't want to go on a cruise on a luxury liner? @CM - I would love to see the film about the Indiananapolis; seems new evidence has been coming to light recently to almost suggest it was not an accident, but that's another story! Interesting hub. I watched the film about the Indianapolis, and it was really quite disturbing. 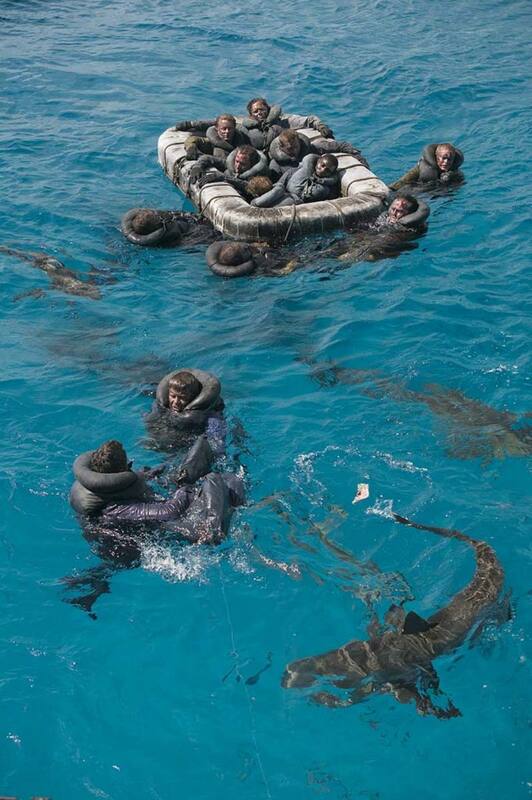 Lots of US sailors in life jackets bobbing around waiting to be taken by the sharks. Luckily these attacks are few and far between. What an interesting hub! I've always been fascinated by sharks. Living in Hawaii, it makes me sad that so many visitors are afraid to get in the ocean for fear of sharks when attacks are so few and far between - I appreciate your explanation of how very rare they actually are.